Whether you’re looking to buy or sell a home in Denver, we have great news for you. The city’s economy shows many signs of thriving, including population growth, low unemployment, job growth, and a hot tech startup scene. Now could be a great time to buy while mortgage rates, which are projected to increase steadily over the next few years, are still near historic lows. 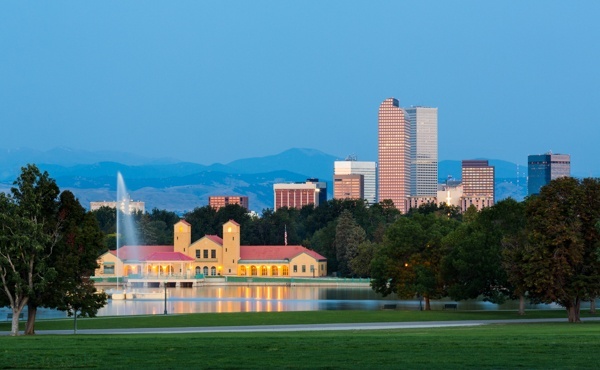 Sellers will benefit from Denver’s low housing inventory and high demand. Both the number of home sales and the average sales price have increased significantly since last year. Denver home prices are well above the national average and are expected to increase in 2017 by 11%, one of the fastest rates in the nation. Here’s what you should know about these local trends and how the Denver housing market how could affect you. Denver’s estimated population for 2016 was 3,133,800, and its forecasted population for 2017 is 3,190,100—a 1.8% increase, according to the Metro Denver Economic Development Corporation. While that increase may sound small, it’s well above the national average population growth rate: 0.80%. And a June 2016 report from Headlight Data found that Denver is the seventh fastest-growing metropolitan area in the United States. While home inventory in Denver is low, housing stock is slowly increasing to meet demand. Single-family home permits in Denver have increased by 20,635 over the last three years, according to the National Association of Realtors. And Denver authorized 21,322 new privately owned housing units in 2016 (including both single- and multiunit homes) according to US Census Bureau’s Building Permits Survey, putting Denver on par with booming cities like Austin and Seattle. If the population continues to grow and housing inventory remains low, home prices will continue to climb. Now could be a good time to buy and benefit from future appreciation. And if you’re trying to sell, there are plenty of buyers available. Companies are relocating their corporate headquarters and opening new locations in Denver. Downtown Denver has generated lots of interest from big companies lately. TIAA, a major retirement services provider, is expanding its current downtown Denver location, and DISH Network is opening its first downtown office. Remote Learner, an e-learning company, decided to relocate its headquarters from Waynesboro, Virginia, to downtown Denver. World Wide Technology opened a downtown Denver office—the second largest in the nation after its St. Louis headquarters. Whole Foods is opening a flagship store in downtown Denver near Union Station, where the popular natural foods grocer will showcase the best it has to offer. The Japanese clothing retailer Uniqlo opened its first Denver store last October on the 16th Street Mall. The location is only its second in the United States that isn’t on the east or west coasts. And those aren’t the only companies moving to the Mile-High City. Brooklyn Boulders, a rock-climbing gym previously headquartered in New York, decided to relocate to Denver to the Dry Ice Factory building at 3320 Walnut St. in RiNo. Viega, a plumbing, heating, and pipe joining system company, plans to relocate its corporate headquarters this year from Wichita, Kansas, to Broomfield, just outside Denver. More recently, eFolder, a software operating system company, announced that it will move its corporate headquarters from Atlanta to Denver. Corporate relocations and new stores mean more jobs for Denverites, more tax revenue for the city, more places to shop, and more demand for housing. Employment rates and high incomes offer more signs that Denver’s economy is thriving. Denver is known for its startup scene, so it’s no surprise that its fastest-growing industry in 2016 was information technology (IT). In fact, Denver has one of the fastest-growing tech markets in the country, in part because the city’s cost of living is so much lower than Silicon Valley’s. Denver’s tech workers have some of the highest tech salaries in the nation. It’s a great time to be a front-end web developer, mobile designer, data scientist, or software engineer in Denver. Other rapidly growing industries, according to the Metro Denver Economic Development Corporation, are investment services and beverage production. Colorado has a robust craft beer industry, and Denver is home to some of the state’shighest-rated craft breweries, such as Bierstadt Lagerhaus and Black Project Spontaneous and Wild Ales. Denver has a significantly lower unemployment rate than the United States, at 3.80% versus 5.20%, according to Sperling’s Best Places. Job growth over the next 10 years is predicated to be 39.88% for Denver compared with 37.98% for the United States as a whole. Among large metropolitan areas, Denver ranked 9th in 2015 for the highest average salaries, with $59,866, according to an analysis by Headlight Data. The downtown office market has seen vacancy rates drop by 19% and lease rates increase by 23% despite an increase in office space of 1 million square feet, according to the Downtown Denver Partnership’s January 2017 Economic Trend Report. Other great news about downtown is that retail sales have increased by 30% since 2012 and are expected to increase by another 30% over the next five years. Downtown Denver’s total employment is also expected to grow over the next five years, by about 8%. Denver is also especially popular with millennials. Last June, the National Association of Realtors ranked the city among the nation’s top five metro areas for the number of millennials living in and moving to the area. Many of these millennials are in the market to buy a home. Escaping the rent cycle can have a huge impact on your lifestyle and finances. Buying or selling in the Denver real estate market can be a smart move. We at Usaj Realty are here to answer your specific questions about living in Denver, home values, real estate markets, neighborhoods, and more. Contact us today to get personalized help from an experienced real estate expert. Author Bio: Amy Fontinelle is a writer, editor, and personal finance expert. Her articles have appeared at Investopedia, Bankrbate, MassMutual.com, The Simple Dollar, Interest.com, Yahoo, Forbes.com, SFGate.com, LendGenius, Bankaholic, Mortgage-Calc.com, Saving Advice and other sites. Amy's clients include personal finance websites, financial institutions, public policy organizations, academic journals, and professional economists.